Mark Futch, our Commander, is a proud US Marine Veteran. Mark began his military career in 1987. He received his initial training at Marine Corps Recruit Depot Parris Island, Port Royal, South Carolina. 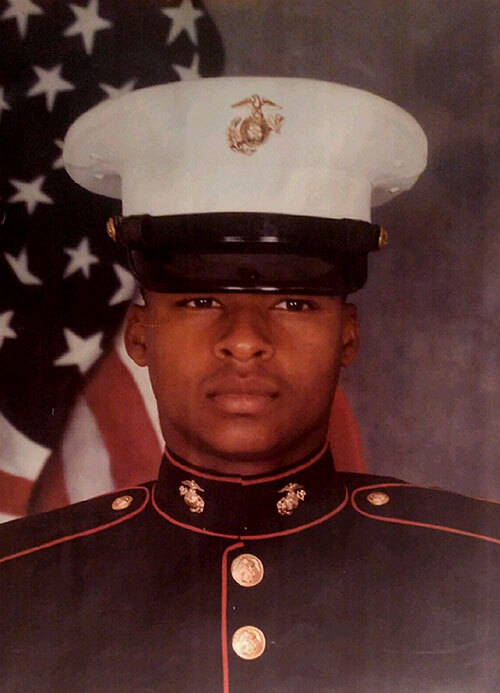 After training, Mark served for three years with the 2nd Medical Battalion, 2nd FSSG, Camp Lejeune, Jacksonville, NC. During his military career, Mark served a one-year tour in Saudi Arabia during Operation Desert Storm also known as the Gulf War. Mark was honorably discharged from the Marine Corps in 1991 at the rank of Corporal/E4. For his service, Mark received the Good Conduct Medal. Mark has been an active member of Post #769 for sixteen years and has risen to become our Commander. We are proud to have Mark leading the efforts of Post #769.